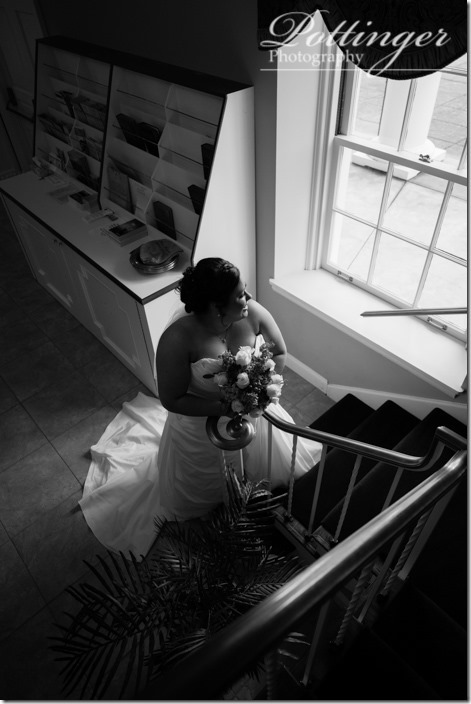 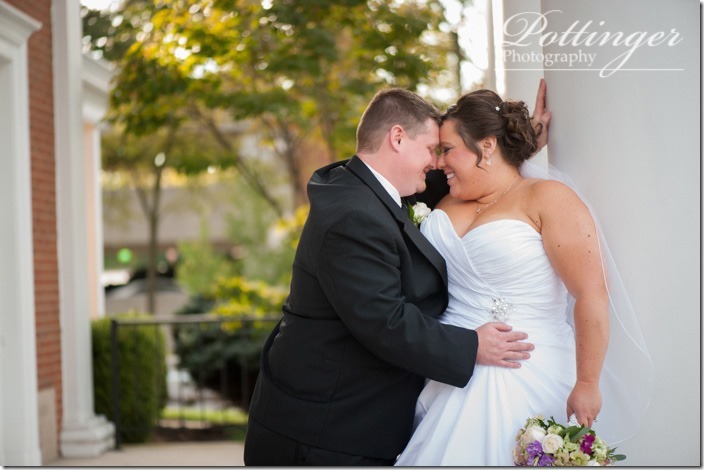 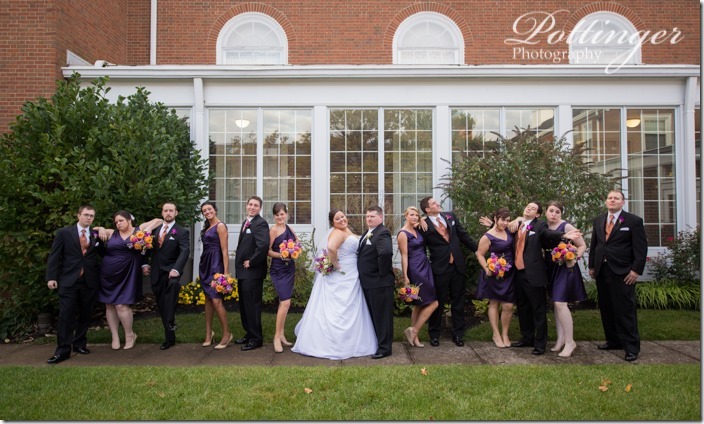 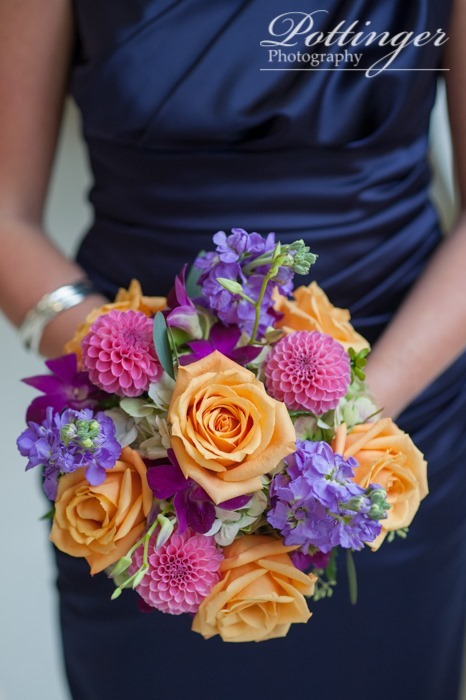 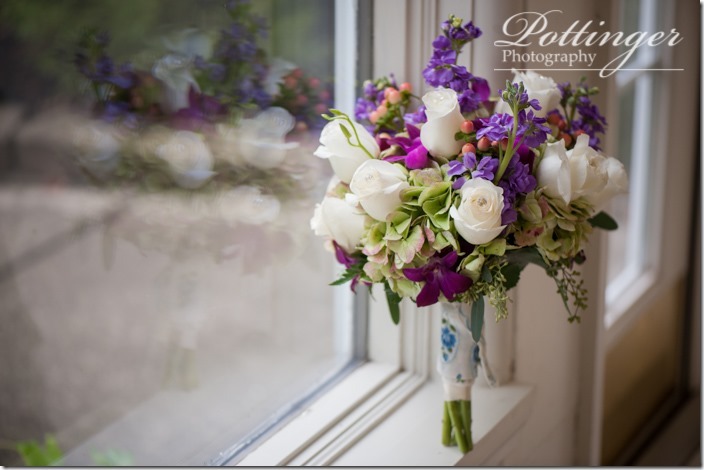 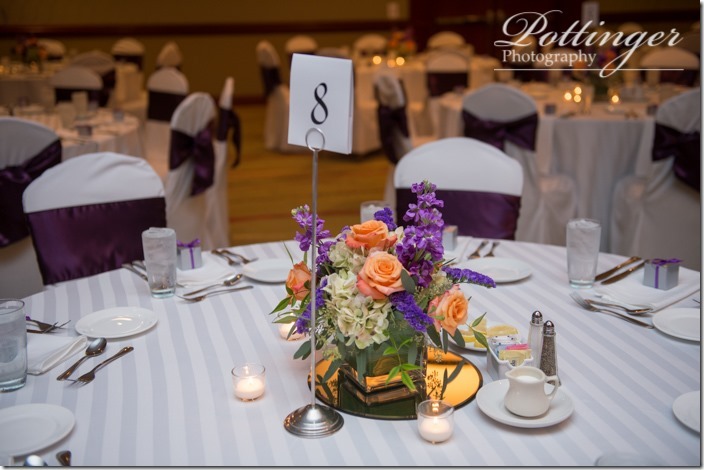 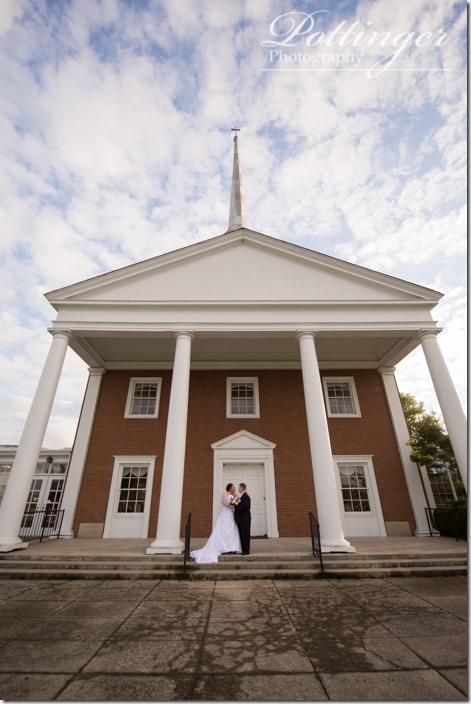 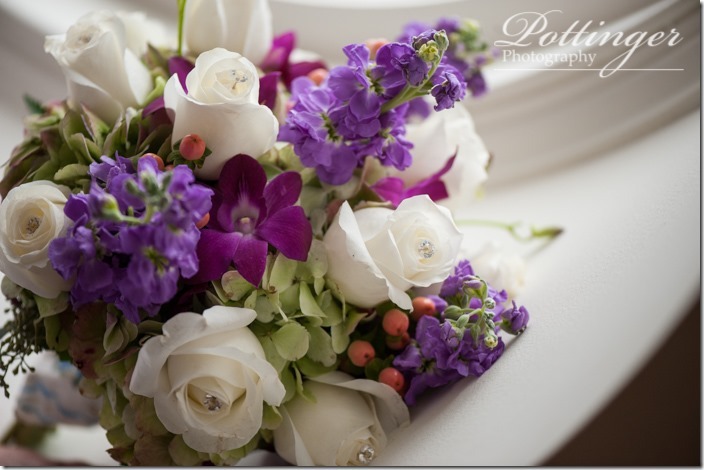 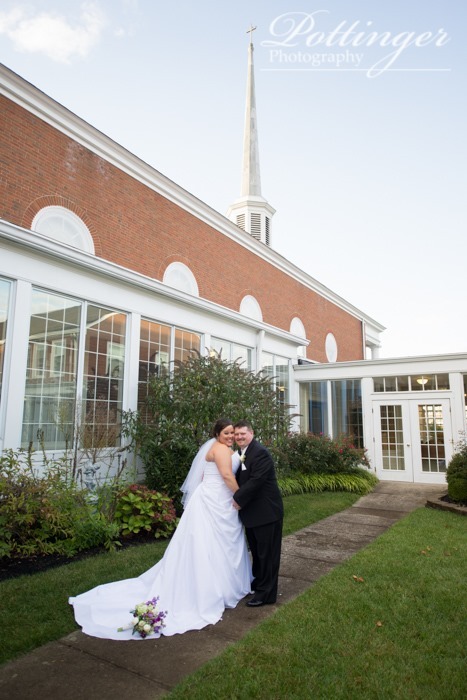 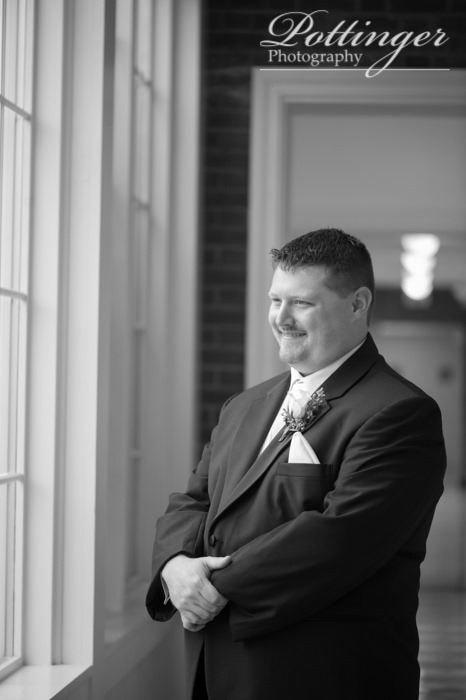 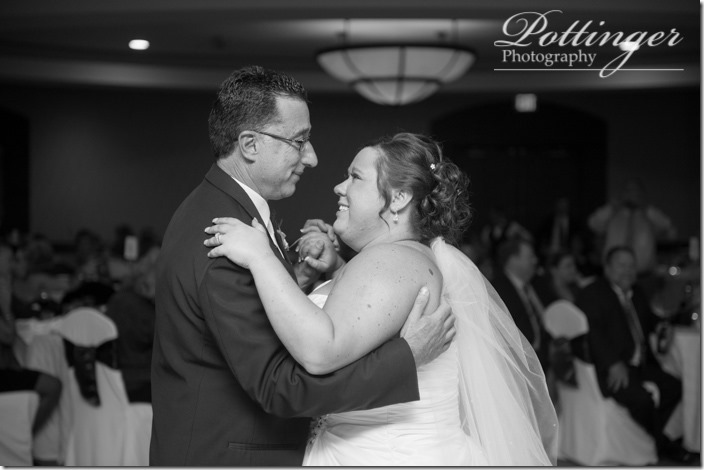 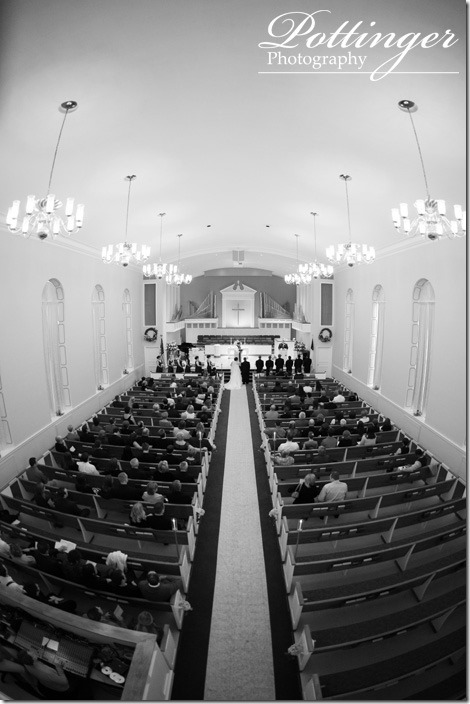 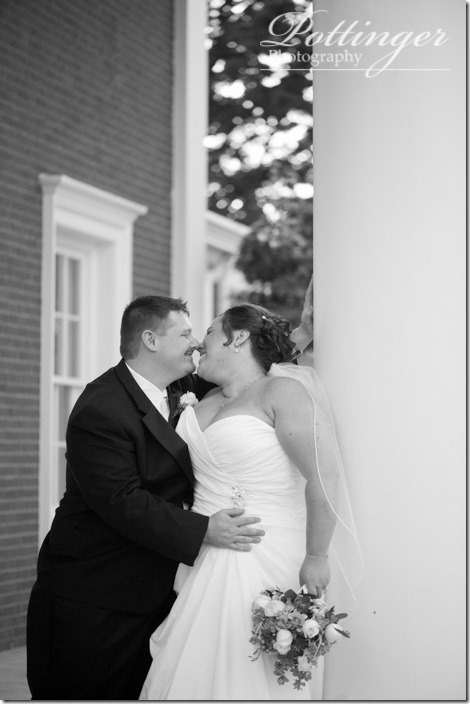 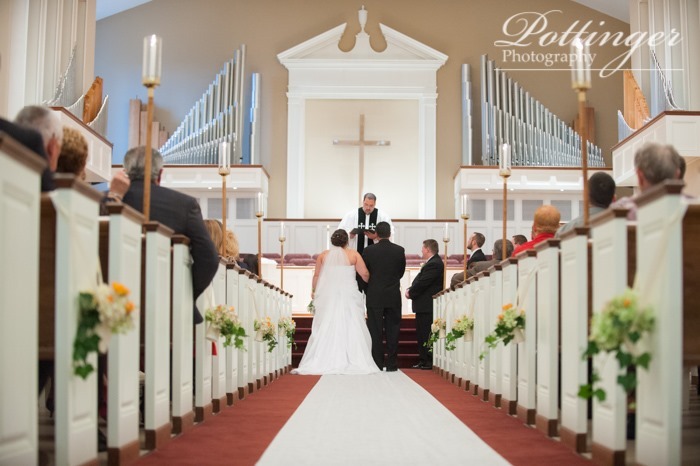 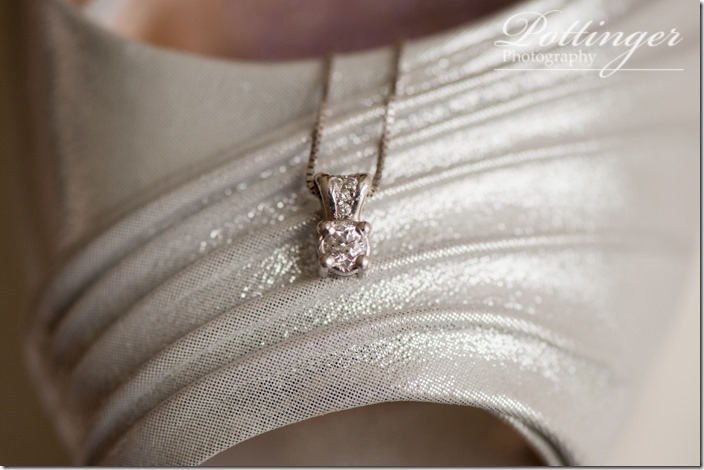 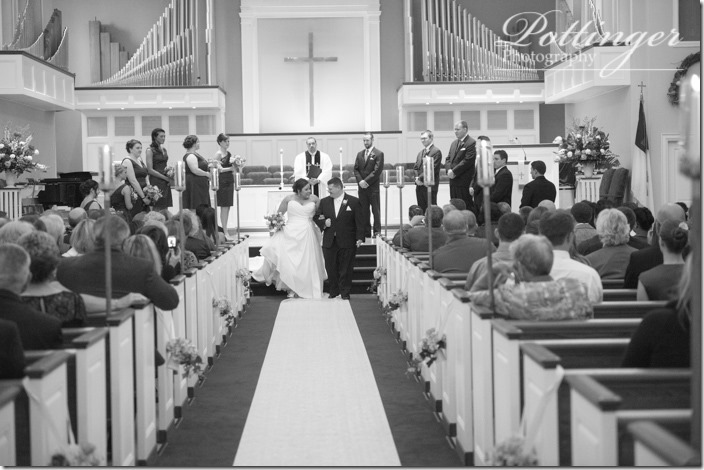 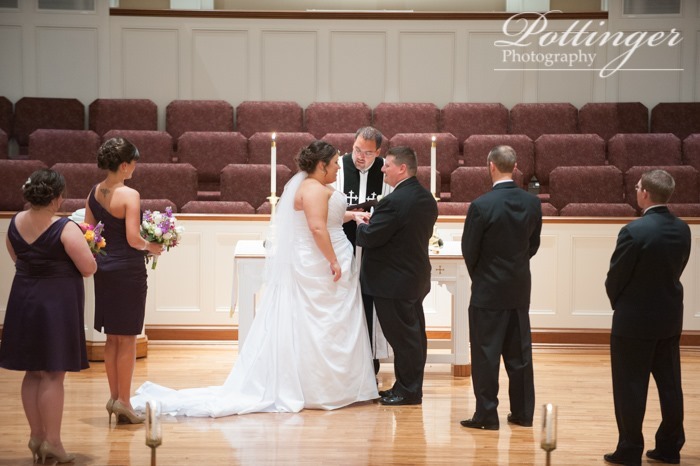 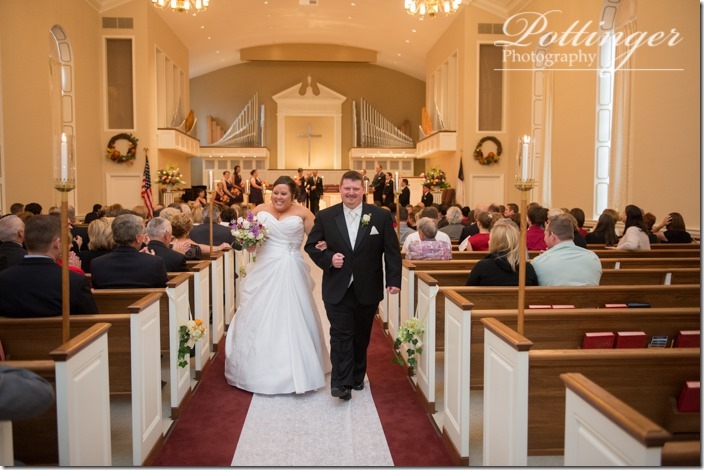 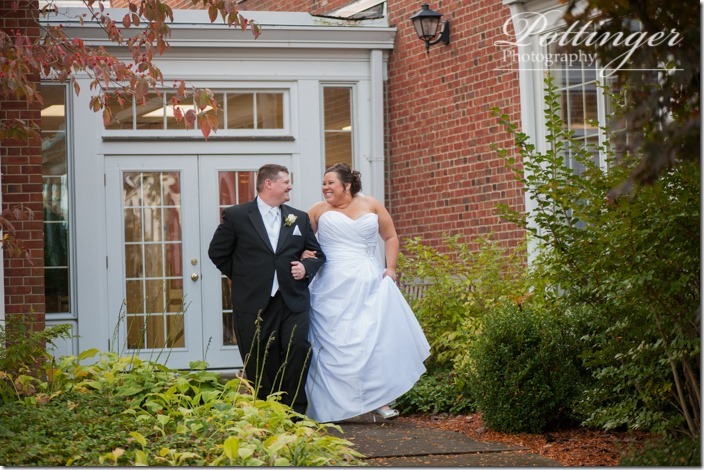 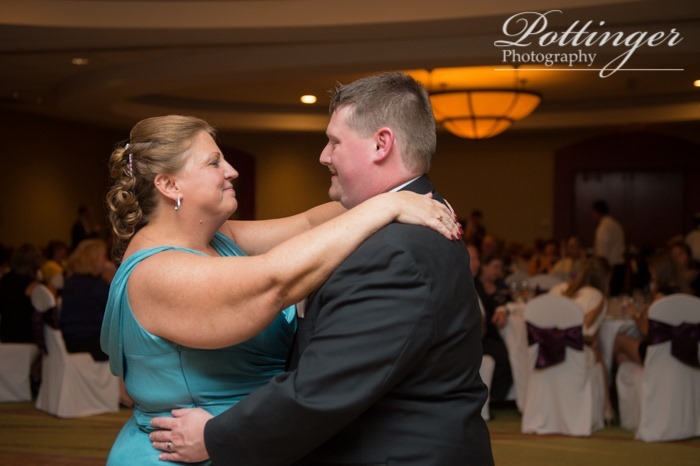 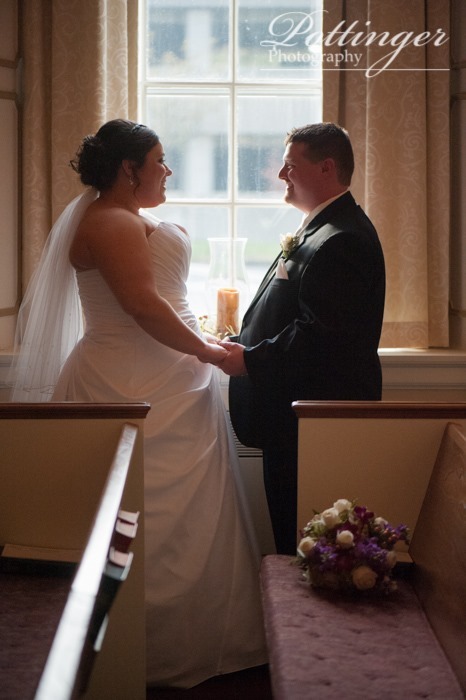 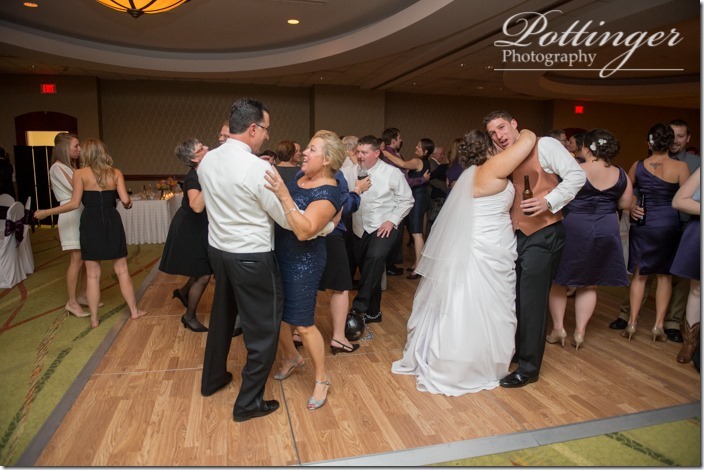 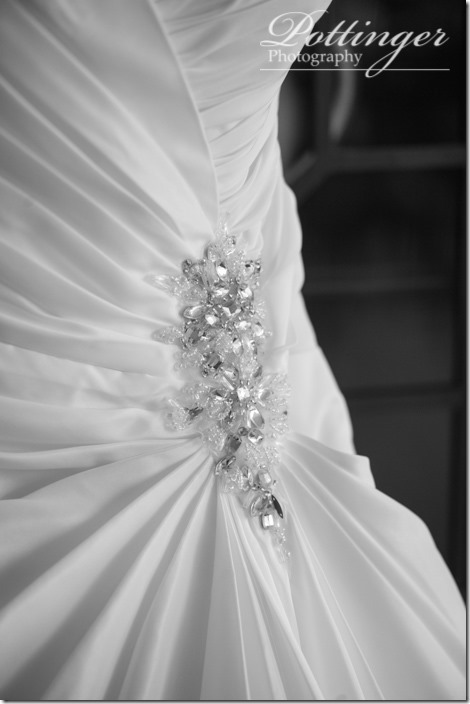 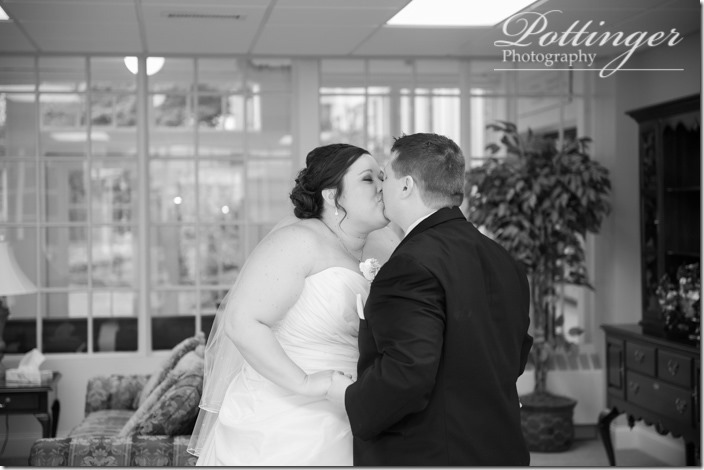 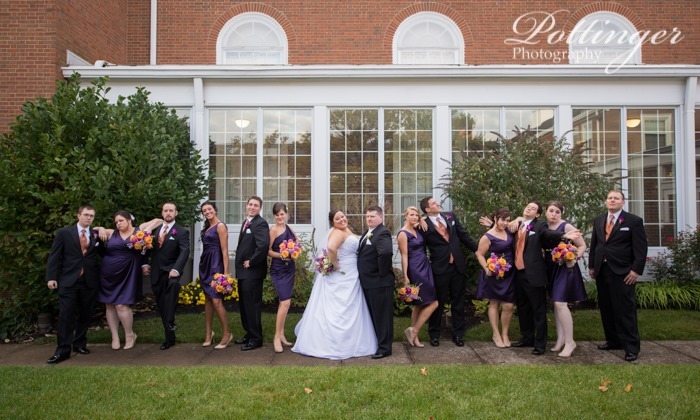 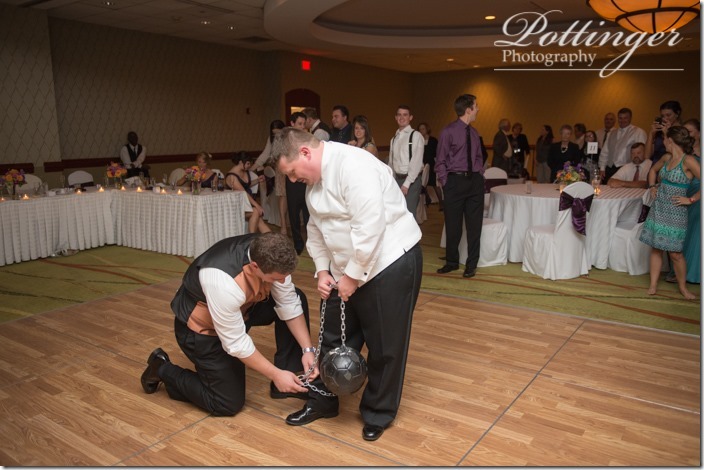 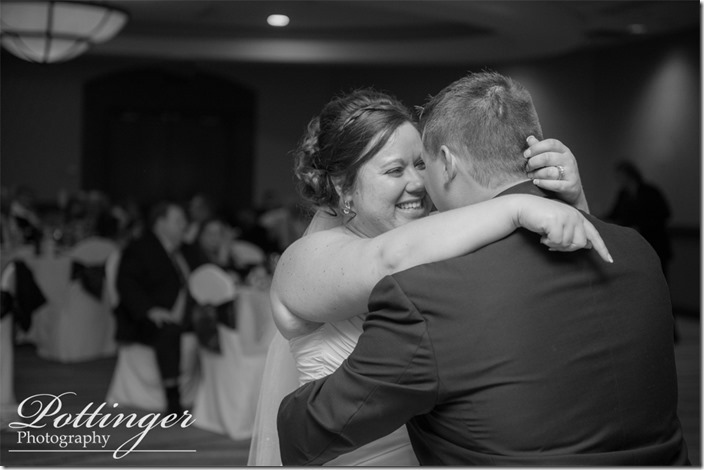 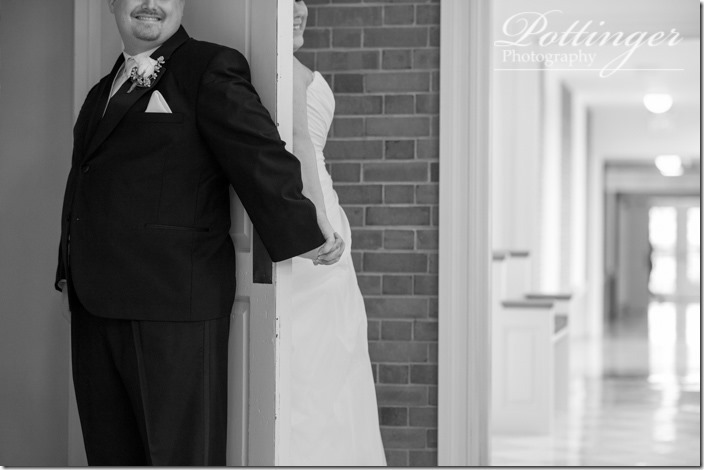 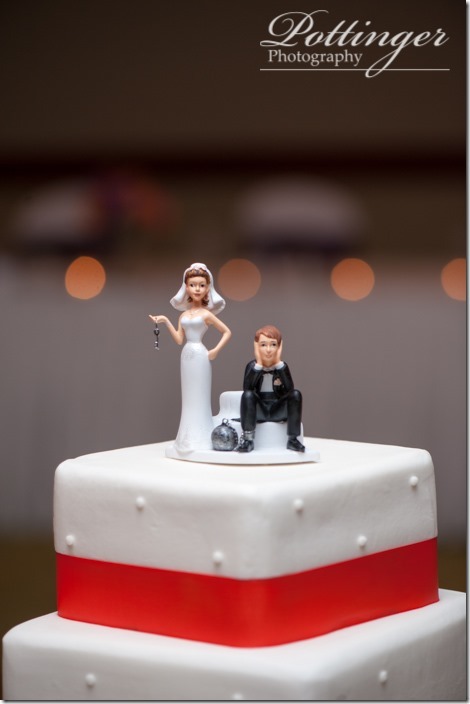 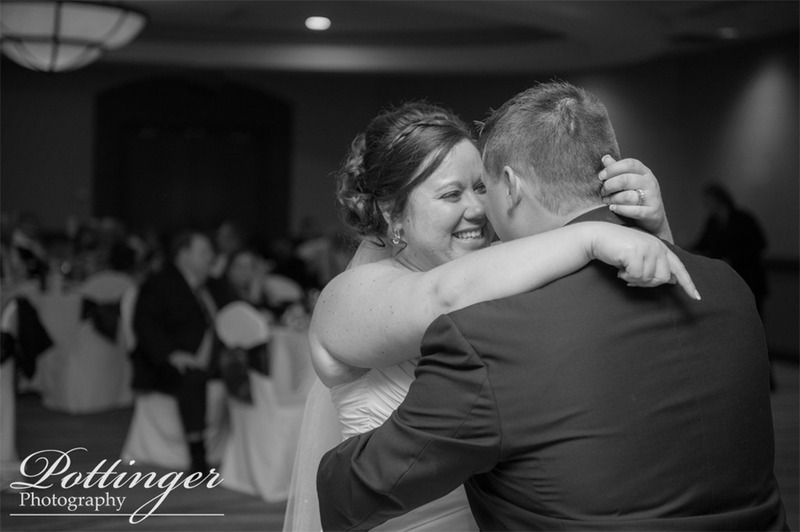 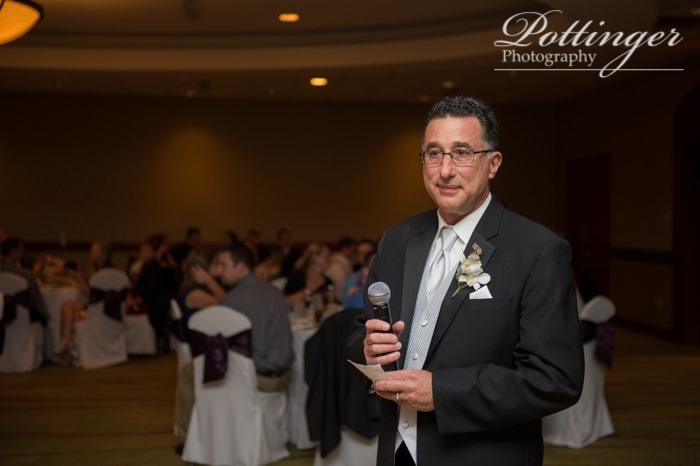 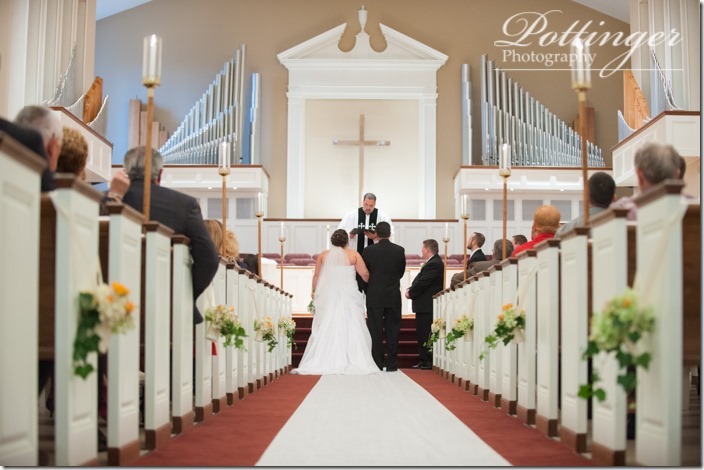 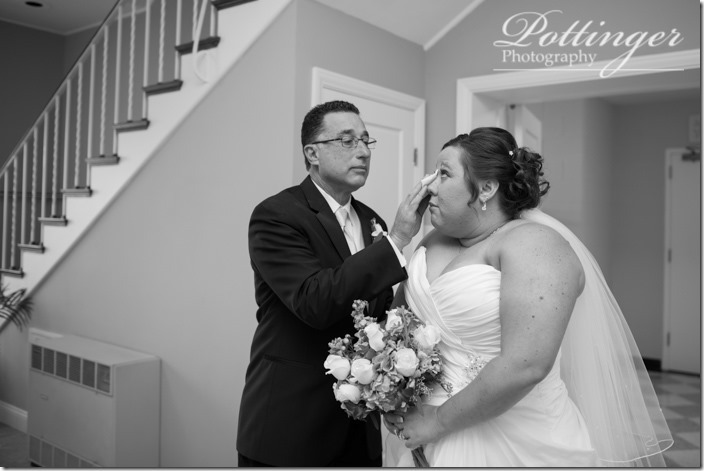 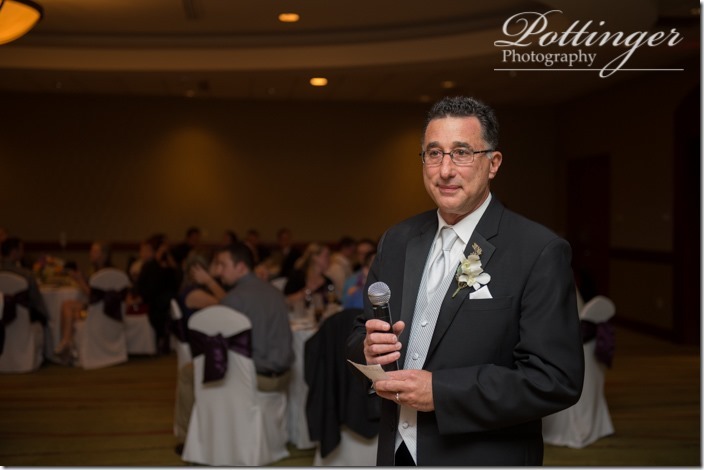 Posted on Wednesday, October 23rd, 2013, by Brenda Pottinger under Weddings. Rain and tears gave way to a beautiful afternoon of smiles and sunshine! 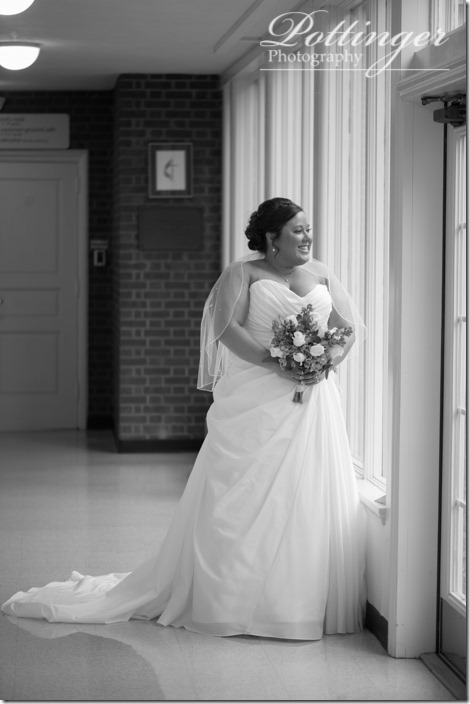 Jennifer began her beautiful day with getting ready at the church with her girls. She borrowed her necklace from her mother and her something blue was her handkerchief and garter. 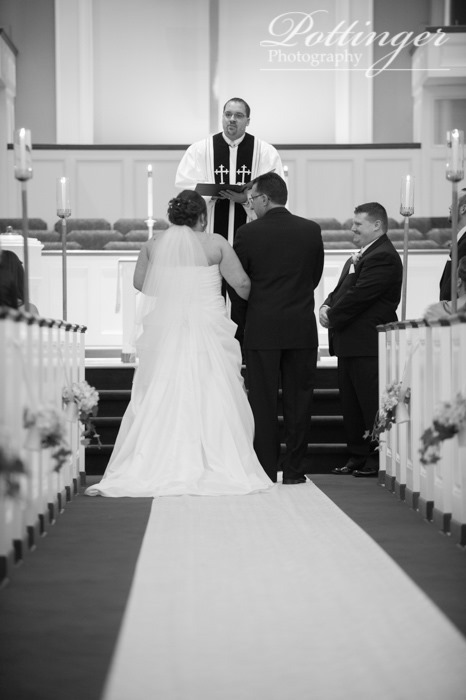 Her walk down the candlelit aisle with her father with her long train trailing behind was show stopping. The emotional ceremony ended with the couple marching back down the aisle with the biggest grins on their faces. 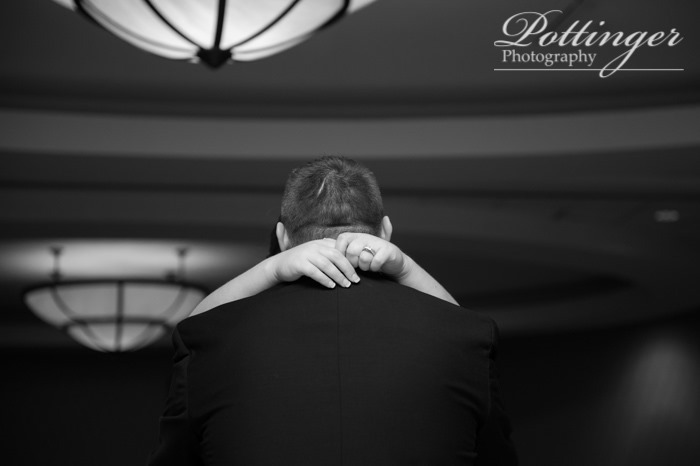 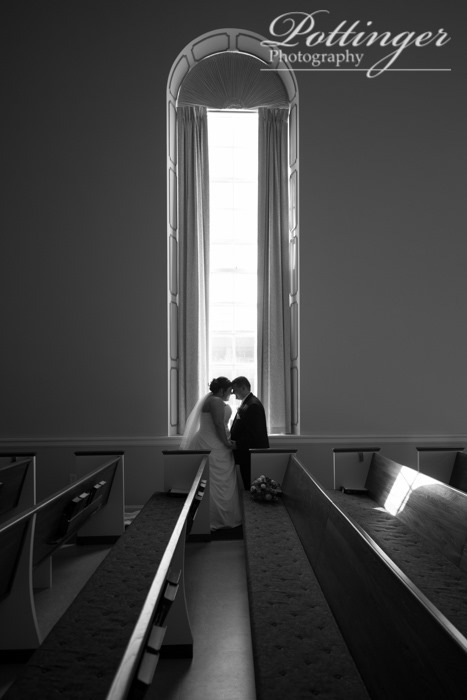 My favorite part of the day had to be photographing the couple together. They were just beaming! 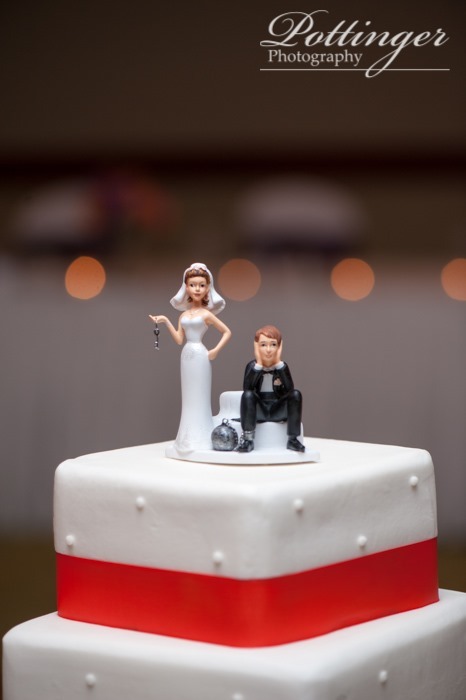 Jennifer and Nick, we wish you two all the very best in life! 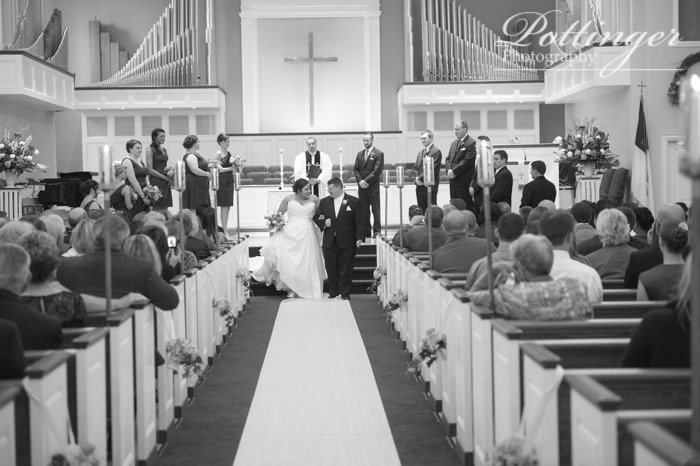 Thank you for inviting us to document this amazing time in your life together!